From the founding of Barefoot’s Resort, the guiding principle has been to offer our customers the best value for their vacation dollar. We have always let the beauty of the Les Cheneaux speak for itself, avoiding unnecessary commercialization. 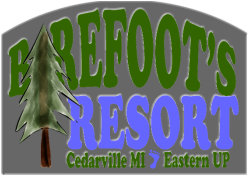 This is why many of our patrons return to the resort on a regular basis, and recommend the Michigan destination to family and friends. No sublets or transfers of boat slips or campsites. 2019 RATES — Dock Space Included! Ask about our special offers and group rates. 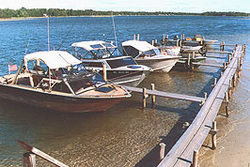 One dock space per rental unit or RV site is provided to guests at no additional charge. Ask for a discount boat rental when you also rent a cabin! !